Christine Willcocks, 2017, Nothing To See Here, monoprint transfer, 30cm-x-120cm. Christine Willcocks combines a range of printmaking, installation and photographic processes to explore notions of museology and the conceptual spaces such environments evoke in the viewer. Employing a range of display devices such as vitrines, domes and antique frames to house contemporary works the artist highlights the passage of museological traditions and our relationships to preservation. Willcocks was the 2014 recipient of the highly sought after Studio Residency at the Paris Cite, facilitated by the Australia Council. She has been the winner of the Wilson Visual Art Award 2012, The Fremantle Print Award 2007 and The Jacaranda Acquisitive Drawing Award 2000 as well as being a finalist in The Waterhouse Natural History Art Prize 2008 (Highly Commended) and the Conrad Jupiters Art Prize 2006. Willcocks is represented in numerous major Australian collections, including Artbank, Print Council of Australia, and Queensland State Library. 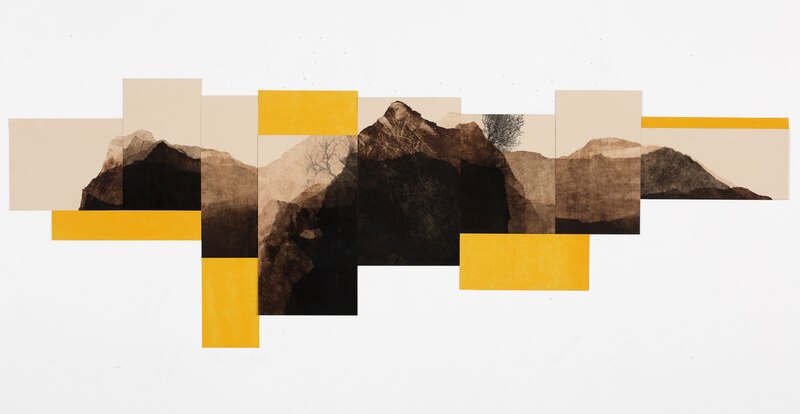 She has been acquired by The Fremantle Print Award 2007 and The Jacaranda Acquisitive Drawing Award 2000 & 2014.